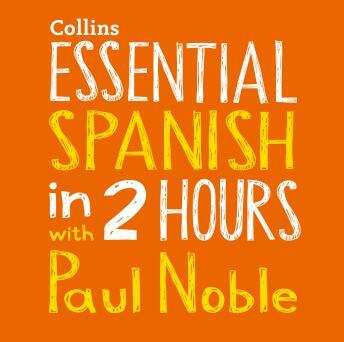 Learning the essentials of Spanish couldn't be easier with Collins bestselling language coach. The accompanying booklet is also available here:collinsdictionary.com/resources. This bestselling audio course can have you speaking confidently in just two hours, with all the essential phrases you need for holiday and business. I need a basic audio course for use on holiday or a business trip - choose The Essential Paul Noble Course. I am a beginner or near-beginner and need an in-depth audio course - choose The Paul Noble Complete Course. I have listened to a Complete Course and I would like to take my learning to the next level - choose The Paul Noble Next Steps Course. I have some understanding and have previously studied the language, I need a book to consolidate what I know and increase my conversational ability - choose The Paul Noble Unlocking Series.